Dr. Hillary Wu is a medical oncologist in Indianapolis, Indiana and is affiliated with multiple hospitals in the area, including Community Hospital East and Indiana University Health North Hospital. She received her medical degree from Beijing Medical University and has been in practice for more than 20 years. Dr. Wu completed her residency for Internal Medicine and fellowship for Medical Oncology at the University of Texas Health Science Center. 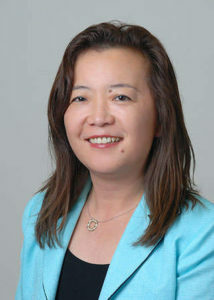 Dr. Wu is one of eight doctors at Community Hospital East and one of thirteen at Indiana University Health North Hospital who specialize in Medical Oncology and Hematology Oncology. 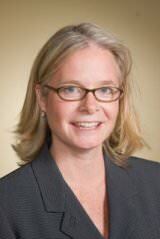 The “Cancer Care Cup” will be honoring Dr. Jennifer Morgan, MD Hematology / Oncology at the Tee Off Dinner held at the Bridgewater Club Sunday, August 20th . Dr. Morgan is a Hematologist Oncologist with Indiana University Central Indiana Cancer Centers. Dr. Morgan grew up in Culver, Indiana and matriculated to the University of North Carolina in Chapel Hill where she completed her BA. She worked at the Close Up Foundation in Washington, D.C. and at the National Institutes of Health in Bethesda, MD prior to attending medical school at Howard University Medical College. She completed both her residency in internal medicine and her fellowship in hematology-oncology at the University of Virginia. She returned to the Indianapolis region to work as a hematologist and medical oncologist and to raise her family. Jennifer feels privileged, daily, to work together with her patients, their families, and her colleagues and staff in efforts to advance quality care and outcomes for cancer patients.